The Tarsal Support is individually made based on the measurements you provide; this product usually ships 3 - 5 business days after the order is placed. 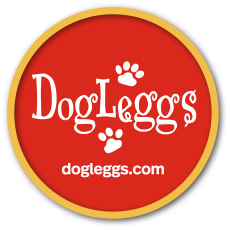 The DogLeggs' Tarsal Support provides mild to moderate support of the hock joint. The material conforms to the limb which allows for an intimate fit; ensuring no migration of the product and significantly reducing the risk of rub sores. The Tarsal Support is padded to prevent irritation at bony prominences and is safe to use on animals with a compromised immune system, fragile skin, or those on immunosuppressive therapy. If rigid support is needed, OrthoPlast can be molded and attached to the support. The standard size Tarsal Support provides coverage from the top of the paw to 2" above the point of the hock. For chondrodystrophic dogs, animals suffering from an angular limb deformity or those with abnormal joint structure in need of support, our Tarsal Support can be further customized. For medium, large or giant breeds with breakdown or rupture of the Achilles tendon, the DogLeggs' Tarsal Support may not provide sufficient support. 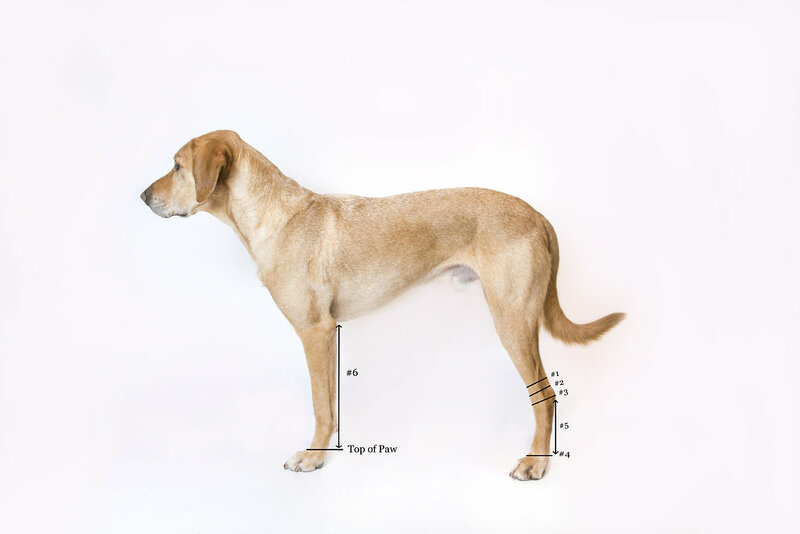 **For dogs weighing less than 10 pounds or if Measurement #6 is LESS than 6 inches or is considered a "short-legged" breed, please contact our office for additional measuring instructions. The DogLeggs' Tarsal Support is constructed from a 3-dimensional fleece-faced, highly breathable, 4-way stretch textile with wicking properties. It allows air to circulate while keeping the joint warm. It contains padding to protect the bony prominences of the hock. VELCRO® Brand fasteners are used to secure the product. The product is machine washable.